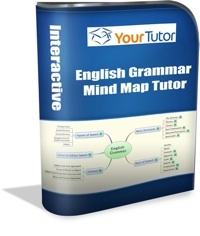 This edition focuses on our latest Mind Map Tutor, Our English Grammar Mind Map Tutor. Our English Grammar Mind Map Tutor has been launched. You can read more about it below. Jasmine, our education specialist is on her way back to Cape Town from Berlin, Germany. She attended the largest Global E-Learning Conference. I can't wait for all the latest information on what's happening in the E-Learning world. We will be applying this to the online offerings that we have been testing. At the moment, readers of this Newsletter received access to two free online courses. We have also been doing research on using Social Media for online learning. Our Blog has some posts on Learning and Social Media. All in all, we've been very busy. You will start benefiting from all of this in 2011, which is going to be a very eventful year. Last month, we mentioned that our Mind Map Tutor Blog will become our online shop. After doing quite a bit of work on it, we have decided to retract this strategy. We felt that at the moment a commercial type shop is not what we need. We will continue to use our Blog for regular updates on the Learning and Mind Map Market. Using this as a shop now will detract from all the great, free information we are giving and may drive our readership down. If you want to follow our Blog to get more regular updates on what's happening, you can subscribe on our Blog. We will update you daily if there is anything new for the day. This is a great way to stay up to date and also give your input, as you can comment on our Blog. Your comments are most welcome, as we use them to help us serve you better. Joing Using Mind Maps on Facebook to become a part of our Social Network. 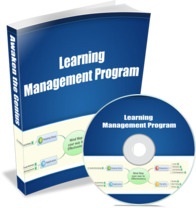 It is a great way for them to stay updated with the latest information on Lifelong Learning and using Mind Maps. As mentioned before, we are promoting the use of XMind, which is free OpenSource Software. XMind also offers you a premium version, which you can use for advanced applications of Mind Mapping. Our tests have shown that everybody can use our English Grammar Mind Map Tutor - including me! We've tried to put together a guide and a reference that only contains the important information on English Grammar. All the Grammar needed for a good working knowledge of English is contained in this set of Mind Maps. Even if you are a native English speaker, this is for you. There is so much to learn when it comes to grammar, that most of us just know the basics. While the basics are covered, there are some advanced topics covered in our Tutor. For example, do you know what Alliteration is and how you can use it effectively in your writing. Well, Alliteration and many other figures of speech are covered. Do you have a bit of trouble with Concord (subject and verb agreement)? Well, it is covered. While it is not the mother of all text books, it is a handy reference that uses both sides of the brain so that you can understand it easily and remember it forever. Get your copy today at our special launch price. We have also packaged a special bonus, The Elements of Style, which Wikipedia describes it as 'one of the most influential and best-known prescriptive treatments of English grammar and usage in the United States'. Luckily, the original version is out of Copyright, so we get give it to you at no cost. Every year, we give you tips for the new year in line with our vision of Lifelong Learning. Our Learning Management Program is the ideal guide for you to obtain your learning objectives for the new year and the years that follow. If you are a Subject Matter Expert, look out for new opportunities coming your way. You will be able to publish your own Tutors on our infrastructure and use our automated sales process to grow your own business. So keep a lookout on our Blog , Facebook and Twitter for updated information as it arrives. We will be launching in December. Till next time...Work on your English Grammar - it will pay off handsomely!